Wildlife lovers across the country and in USA, UK and Canada to participate in the protest. 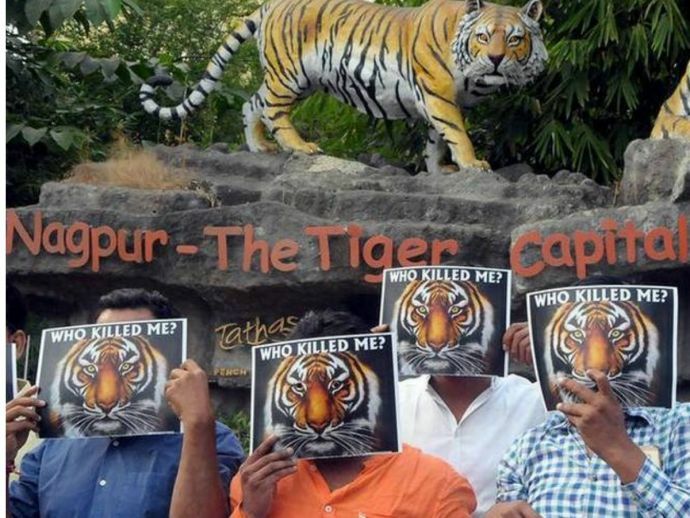 The killing of Tigress Avni under mysterious circumstances has raised questions among the wildlife lovers and it may now manifest into a massive protest on November 11 across various countries. Cities like Mumbai, Delhi, Kolkata and Bangalore along with countries such as USA, UK and Canada are expected to join the protest. Accusing state forest minister Sudhir Mungantiwar of conspiring to kill the big cat, Union Women and Child development Minister Maneka Gandhi said, “He (Mungantiwar) has been doing this regularly. This is the third tiger that has been killed, besides dozens of leopards and 300 wild boars. He has been on a killing spree since he became minister, and I am shocked that such a man was allowed to continue." She junked Mungantiwar’s statement in which he said that the team who shot Avni had done so after the tigress had attacked them. Maharashtra principal chief conservator of forests, A K Mishra received a text message from the union minister regarding the killing of Avni which said, "As per the SMS, the tigress was on the road when the team shot at her. The SMS said the team was panic-stricken and nowhere did it say that the tigress had charged at the team." It further read, "...But the incident of November 2 was accidental when it (T1) was right on the road side and comparatively heavy traffic (sic) because of Bazar day. The firing by the team was a panic reflex action. Tigress was hardly 8-10 metres away and a single pounce would have been fatal for the team. You would understand that in such situation, the caution and restraint go haywire. I am also very upset by the mishap." Wildlife activist Jerrly Banait said that he would file a PIL against the forest department, forest minister, animal husbandry department and ministry of tribal affairs. He said, “Our lawyers will advise us whether we would be putting criminal charges against them or a civil suit."